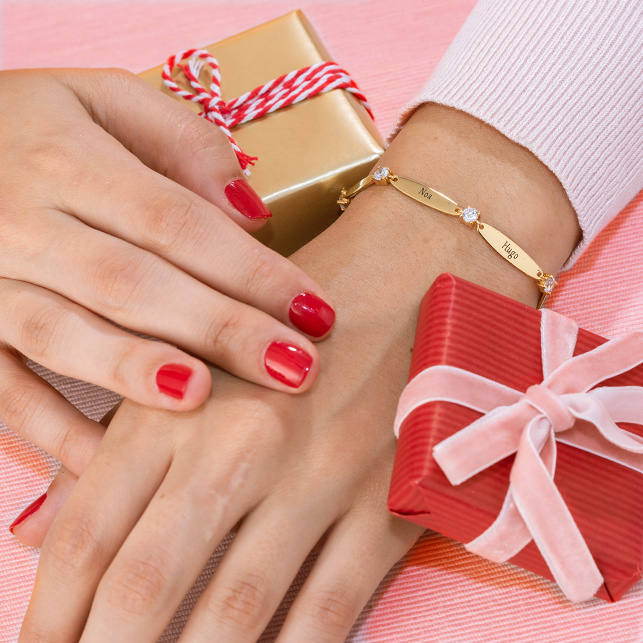 What is The Perfect Jewellery Gift for Valentine’s Day? This Valentine’s Day, treat the one you love to something amazing. While candy is sweet and flowers offer a touch of romance, neither of these traditional gifts lasts long! Personalised jewellery keeps thoughts of you close, all day long. It’s the valentine’s gift that keeps on giving! Whether you’re looking for the perfect valentine’s day gift for your significant other, a parent, a bestie or even yourself (yes, that’s a thing!) it’s impossible to go wrong with jewellery, especially when you’ve customised it to perfection. Here are five favorites to consider. There’s nothing quite like heart-shaped jewellery to make your feelings clear. 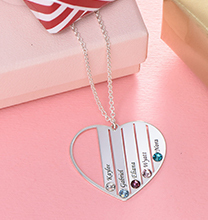 At MyNameNecklace, we’re proud to offer personalised heart necklaces that send a sweet message. While the idea of a heart-shaped box of candy is definitely cliché, these beauties are unique, thanks to special details such as engraving, birthstones, and more. With no worries about calories, they’re perfect for wearing and sharing anytime – even during this post-holiday season when so many of us are watching our waistlines a little closer than we usually do! 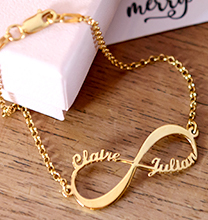 Whether they prefer Personalised Infinity Bracelets or Infinity Name Necklaces, this gift pairs unique details with a trendy profile. Thanks to its special meaning and its ability to go with a variety of clothing styles, infinity jewellery is certain to bring enjoyment now and for years to come, all while keeping thoughts of your special bond close. This symbol is graceful and elegant, with many meanings including love, romance, eternity, and commitment. In case you’d like to learn more about the meaning of the infinity symbol, you’ll find all the details in our guide. Remember the classic personalised broken heart necklace? We love it, and so will you! In case this style isn’t among your favorites, there are lots of other options to consider. 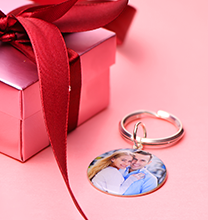 Our Couples Jewellery is a fun gift to share with the one who means the world to you, whether you go for pendants, bracelets, or cool Ying and Yang necklaces. This jewellery sends a clear message while keeping a little piece of your loved one’s heart right next to yours. The ring is a classic symbol of commitment, and there’s no time like Valentine’s Day to give personalised rings that celebrate your feelings for one another. 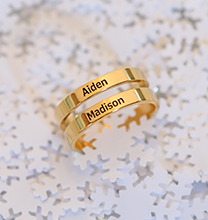 Embellished with engraving such as a name or a message of love, these rings double as stylish accessories that are fun to wear alone or stacked with others. If you’re thinking about giving a promise ring, now is the perfect time to do so! It’s also a great time to treat mum to a ring that reminds her of the little ones who share her heart. Not quite ready to put a ring on their finger? You can still give a gift that shows your love and appreciation without taking a leap toward the altar! 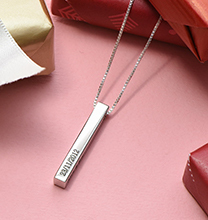 Our personalised bracelets are perfect for anyone on your list, whether that’s a significant other, a parent, a best friend, or even a sibling. Most people love the idea of wearing an ID bracelet, and for women who enjoy showing off the latest style, a personalised bangle or two might be just the thing! From simple to elegant, our collection includes styles to make every heart beat just a little faster. Valentine’s day is the perfect opportunity to share feelings of affection. Whether your relationship is brand new, or if you’ve been together forever, your one and only will appreciate the care you put into selecting a gift that will stand the test of time while making their everyday look a little more exciting.